Vent Cleaning can be a confusing topic for many homeowners. 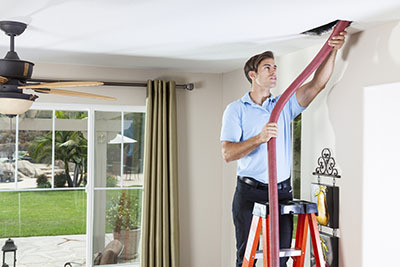 While we are all aware about the need to ensure the indoor air quality home residents are breathing is good, there are many myths about air duct cleaning which can confuse the issue. There isn’t a need to use chemicals in every instance of cleaning. An air duct cleaning service should assess the level of cleaning needed and advice you if a chemical is recommended. This is sometimes the case, where mold, mildew or bacteria has developed. The service may recommend a chemical to prevent the infestation from reoccurring. While you may not require a service every year, it is recommended to have a clean done every three to five years. Professionals have the tools and expertise to ensure that the build-up of debris is safely removed without reintroducing them into your flow. They can also assess the system and provide air quality testing to judge the severity of cleaning needed. The ducts of any system using forced air can accumulate debris. 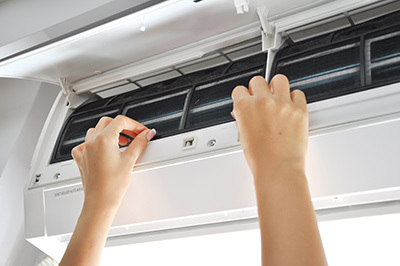 This includes fresh ventilation, hot pumps, heat exchangers or other types of heating system. 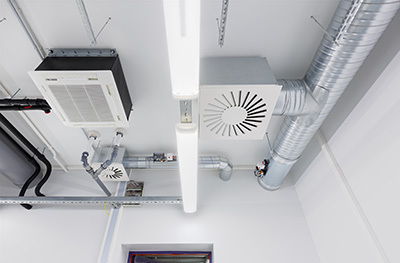 Any system which requires air to travel through ducts can be susceptible to a build-up of debris. The humid conditions of any HVAC system can provide a prime breeding ground for bacteria. Almost all systems have drip trays to collect water which can produce condensation. Research has indicated that poor air quality can cause a number of health issues. These include headaches, irritability, increased asthma or allergy symptoms, inability to sleep and other illnesses. Unclean air circulating can spread bacteria and viruses. Where mold is present, the spores can circulate throughout the home, which is very bad for general health and wellbeing.